AS/PVC/EVA calcium carbonate masterbatch available. Processed by the four paddle rotor internal batch mixer or twin screw extruder. 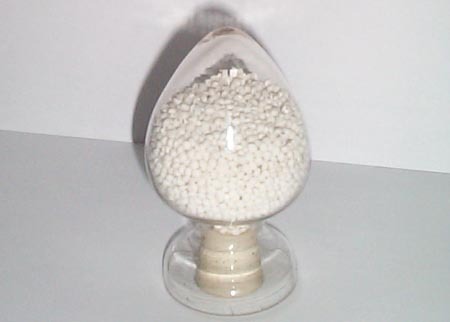 Calcium carbonate master batch for transparent HDPE film available now. Adding by 5-10%, transparency becomes better in some cases; adding by 10-30%, transparency is still good enough. It's also good for LDPE film, HDPE pipe and PP sheet, which are transparent, but not very transparent. Plastic calcium carbonate masterbatch named as calcium carbonate compound, calcium carbonate additive, calcium carbonate extender, calcium carbonate composite, calcium carbonate agent, plastic CaCO3 masterbatch, CaCO3 compound, CaCO3 additive, CaCO3-filled composite, CaCO3-filling extender, CaCO3 filler agent, concentrated calcium carbonate, CaCO3 granule, plastic film modifier, plastic reinforcer, toughening master batch, reinforced master batch, CaCO3 grain. LDPE/LLDPE grade available as well. Mostly popular for rafia sacks and rafia bags. EVA grade, PVC grade, nylon grade, tubing & Pipe grade and non-woven fabric grade available as well. Adding ratio recommended for reference only, please adjust it up or down based on experiment and experience. Formula could be tailor-made upon request in order to satisfy with higher or lower price. Refer to "ingredients" above, if carrier is LDPE, it does not mean it's suitable for LDPE bag only; if carrier is HDPE, it does not mean it's suitable for HDPE bag only.